Spotify is a Swedish music streaming platform that allows you to listen for free to any type of music and artists. This online service gives you the opportunity to browse music, create playlists and share what you are listening to on social media like Facebook and Twitter. Spotify has a total of 100 millions active users, in over 60 countries. While Spotify is a proven awesome service to listen music, browse latest charts, discover new artists, and share interests on social media, there are a couple of reasons why you should start considering it to promote your event. As an event marketer, Spotify could be an amazing tool to build excitement for your venue. This particularly makes sense for concerts and music festivals. Spotify can easily be integrated on your Facebook and Twitter pages. Therefore, it makes sense to promote your event by sharing some of your artists music. You can hype your attendees with some of the tunes of the performing artists. Also, it’s a great way for your attendees to discover the artists they don’t know before purchasing their tickets. 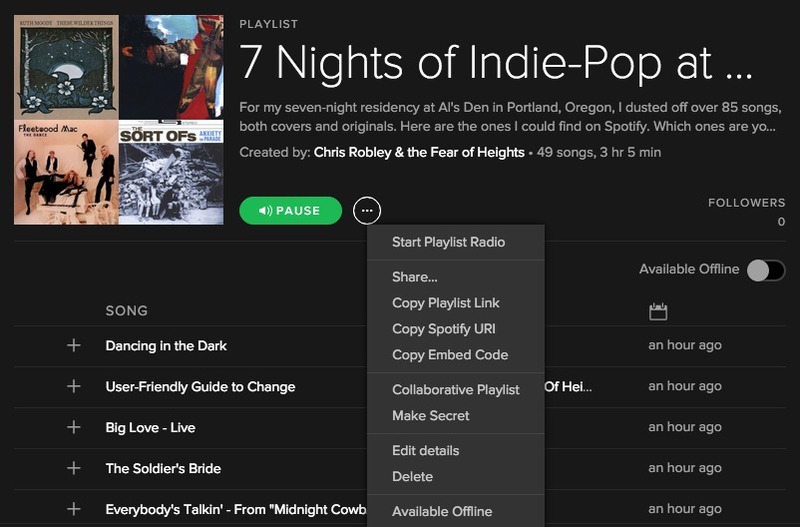 If your followers are interested in your content and like your Spotify playlists, they will start sharing them too. The excitement you can generate through Spotify and social sharing will help you increase your followers or fans database, the traffic on your event website page and your ticket sales. One of the best features on Spotify is the ability to create playlists and share them. You can also create collaborative playlists. Spotify Audience Targeting is a platform allowing brands to connect with Spotify users. 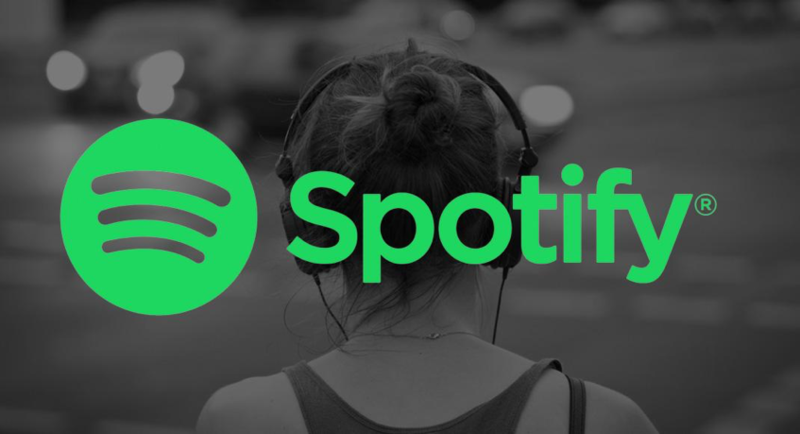 It’s a innovative solution that allows companies to tap into Spotify data to reach the right audience. 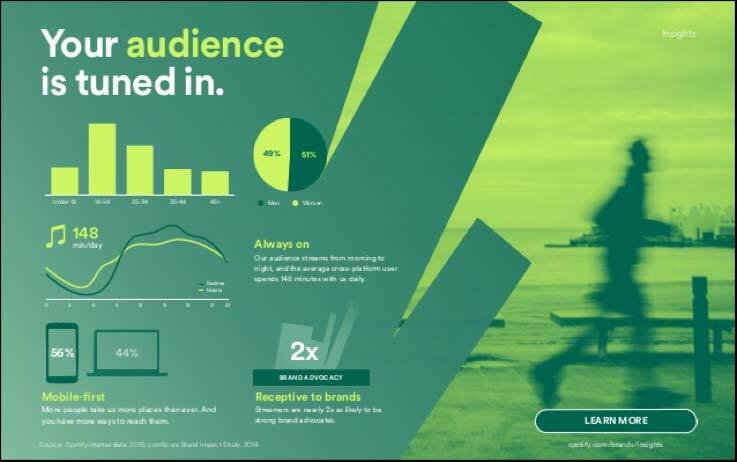 Therefore, Spotify for Brands makes it possible to target very precisely audiences on Spotify using segments like gender, age, language, localisation and what they are listening to (genre, playlist). It is even possible to target the time of the day they are listening music. This feature can be really relevant for music festival or live music venues, as it makes it possible to target people listening the exact same kind of music as the one of your event, by targeting either the artists they listen to or the playlists. To learn more on playlist targeting, please visit Spotify page. 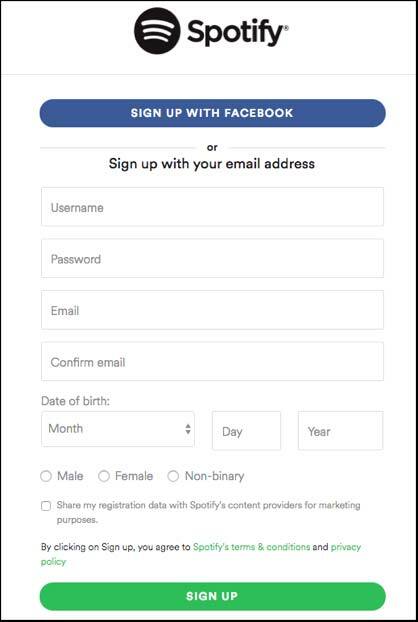 Creating a Spotify account is super easy and will only take a couple of minutes. You can either register with your facebook page or with your email address. For more information you can visit their website here. Ticketbooth offers a reliable event ticketing system and can help you take your event to the next level.